Here is a new chart I am working in. I submit it here for your review. Please comment if you see errors or omissions. of risk which places human lives in jeopardy. 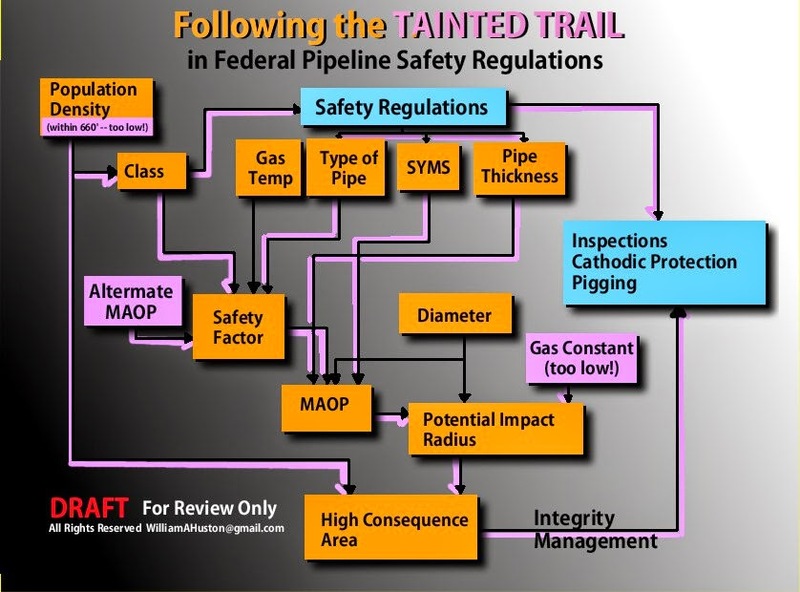 So there idea is that there are 3 sources of TAINT in Federal Pipeline Safety Regs. This attempts to map it out. that: ~1,000 to ~1,400 ft.
(This is an input into the Potential Impact Radius or PIR). over by 595'ft (Cleburne) and a max radius of ~1,400'ft. (Cleburne). a MASSIVE 42" gas pipeline near a nuclear power facility. which run into this same facility. From a risk management standpoint-- this is insane.